Product Consist : 12 Stem of Mix Flowers like White Cranations with Yellow Roses and Orange Gerberas Green Fillers in Cellophane Wrapping. 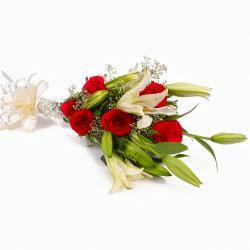 Checkout this amazing gift item which is all set to make your dear ones happy on this special occasion like Birthday, Anniversary, Congratulations, Karwa Chauth, Republic Day, The gift item is a bunch of twelve Stem of seasonal flowers which are neatly cellophane wrapped and bow tied with a ribbon. 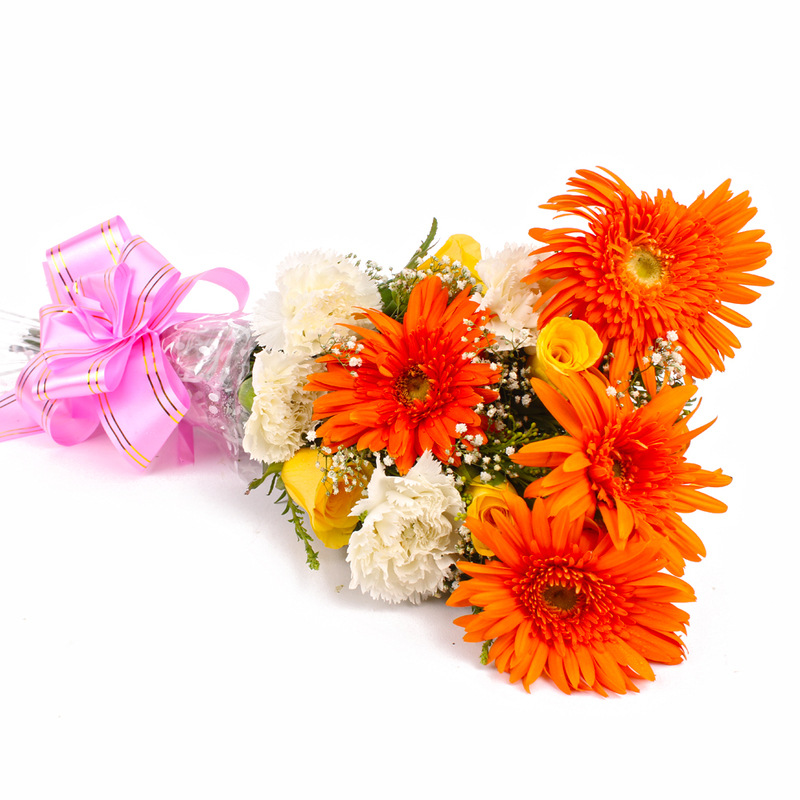 The bunch consists of White Cranations with Yellow Roses and Orange Gerberas which signifies innocence, purity and cheerfulness. 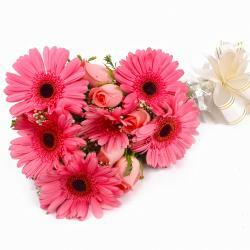 Flowers are the best gift items to convey your sentiments to your special someone without verbally speaking. 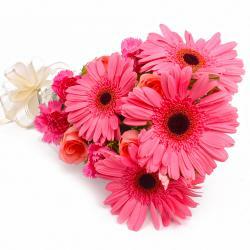 Let him / her know that you care and make them feel special by gifting this amazing Seasonal Flowers bunch. Product Contains : Twelve Stem of Mix Flowers like White Cranations with Yellow Roses and Orange Gerberas Green Fillers in Cellophane Wrapping.